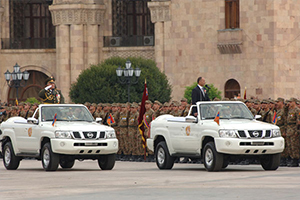 On the Armenian Army Day Defense Minister Seyran Ohanyan during the meeting with the journalists informed that the main direction of reforms in the Armenian Army is the transition to strategic planning. 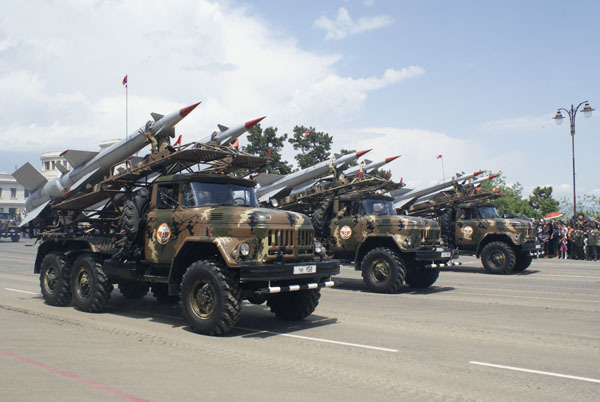 He told also that the army increases its potential by acquiring armaments and defense technology. 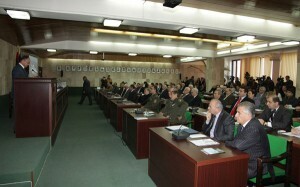 In connection with the 20th anniversary of formation of the Armenian Army, on January 25th a scientific conference was organized in the Yerevan State University where Defense Minister Seyran Ohanyan took part. 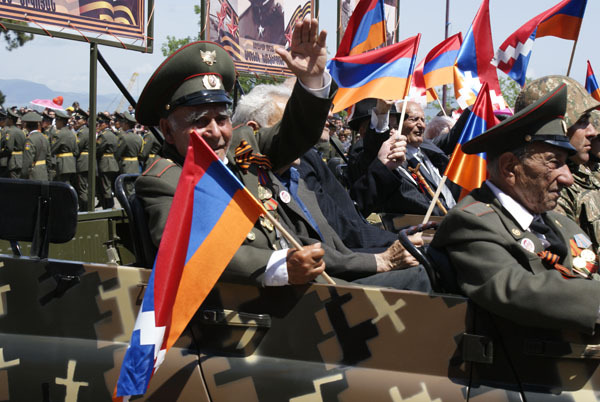 The main themes of the conference were: “Armenian Army during different epochs of history” and “National Army of the 3rd Armenian Republic”. 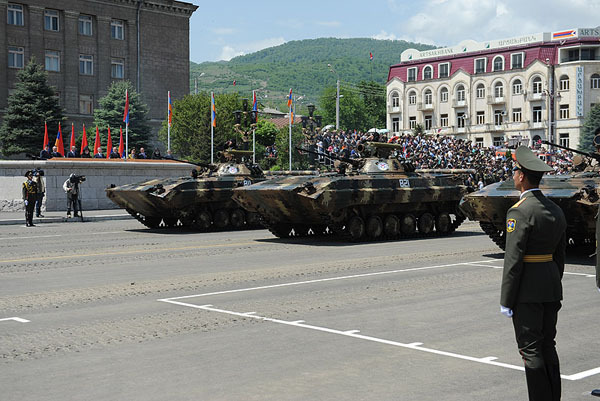 In his speech the Minister noted that the present Armenian Army is a science intensive notion and the approach to it should also be scientific. 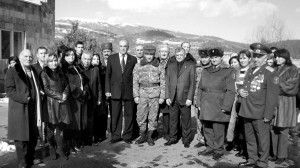 In the framework of functions dedicated to the 20th anniversary of the Armenian Army Defense Minister Seyran Ohanyan visited the French University of Armenia on January 31st, met with the professors’ staff and students. 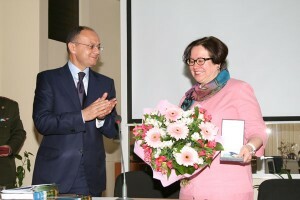 Ambassador of France in Armenia Henri Reynaud was also present at the meeting. 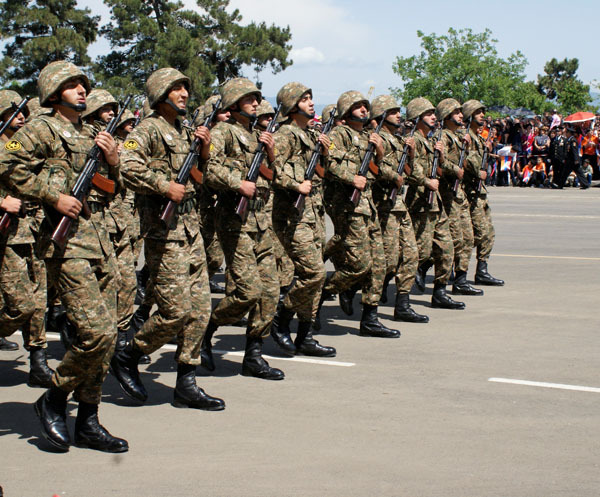 On the initiative of Gagik Gyanjumyan, head of Yerevan administrative district “Center” on January 29th some residents of the district visited one of the RA AF regiments where their sons were passing their service. 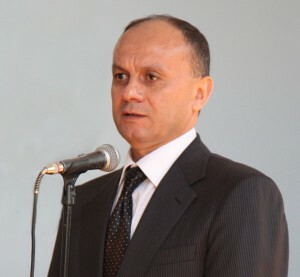 District military commissioner Colonel Matevosyan, AF Veterans Committee member, head of Military-Patriotic Upbringing Commission Colonel Bakhshyan, NGO representatives joined the parents. 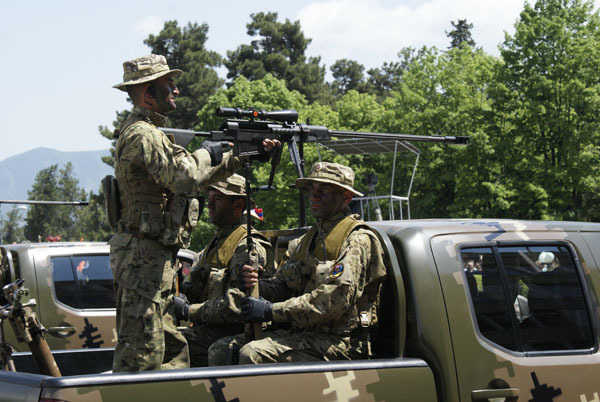 This visit was a pleasant surprise for the regiment’s servicemen under the command of Colonel Mahsoudyan. 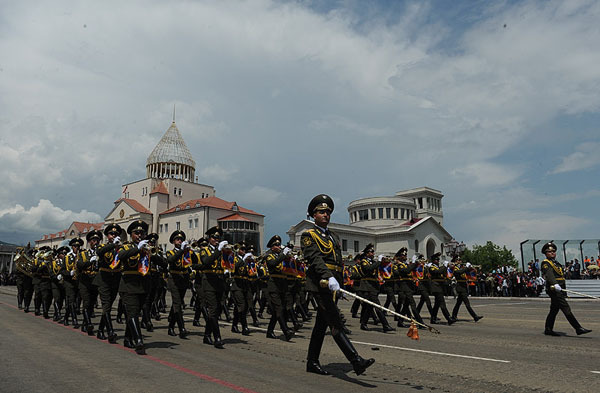 Lance sergeant Roubick Mikayelyan, account commander of the regiment after Armenian Tamanian Division, is one of the 9 Armenian men whose personal achievements are registered in the Guinness Book of Records. Roubik who is a sambo wrestler and was called up for military service last spring after graduating from the State Institute of Physical Training, on September 21, 2011, on the occasion of the 20th anniversary of independence of RA, in the lying position did 6500 abdomen presses. On January 28th, the day of 20th anniversary of formation of the national army, he surpassed his record and in 4 hours 35 minutes did 7550 presses.